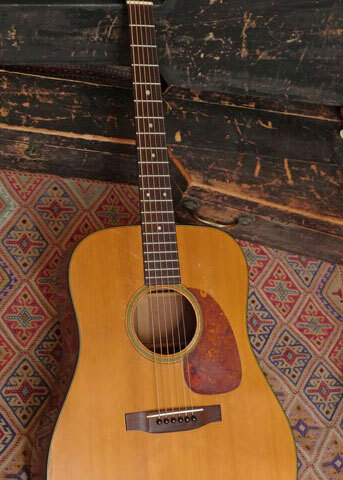 Nothing sounds like a 30’s Gibson L-00. 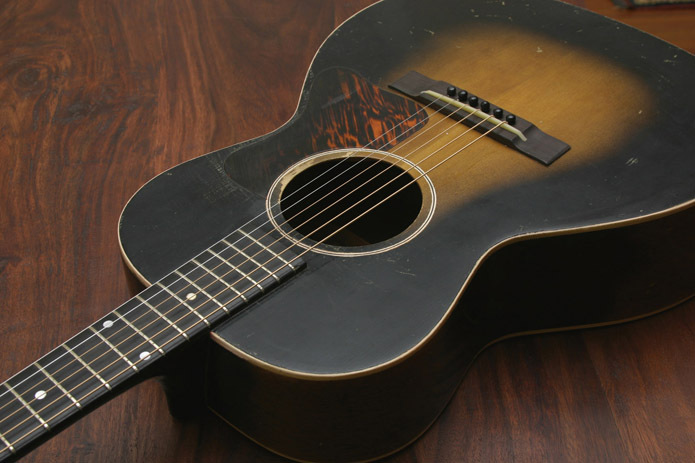 No longer a sleeper on the vintage guitar market–they are sought after by working musicians the world over¬–they are still under-rated on the collector market. These mid-size Gibsons are incredibly resonant. 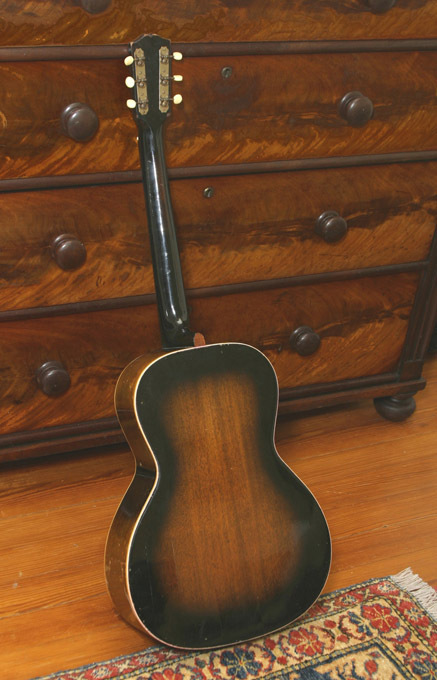 There is nothing like them, from Gibson, and the mid-size Adirondack spruce over mahogany Martins from the mid to late 30’s command more than twice the price. 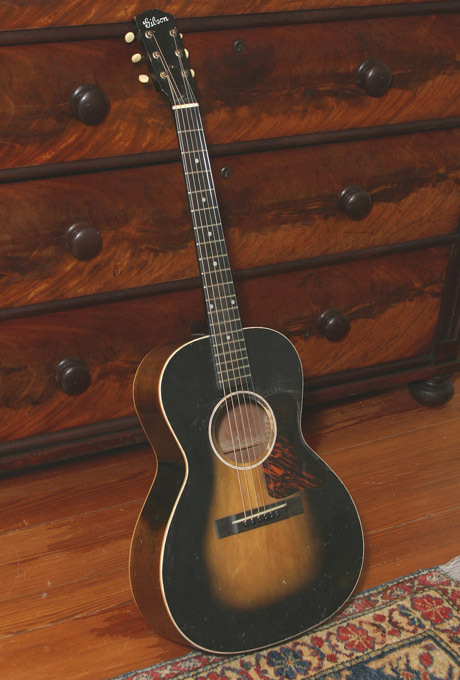 This L-00 from 1938 has the best tone of any of the 30’s L-00’s we’ve seen. You won’t believe its presence. 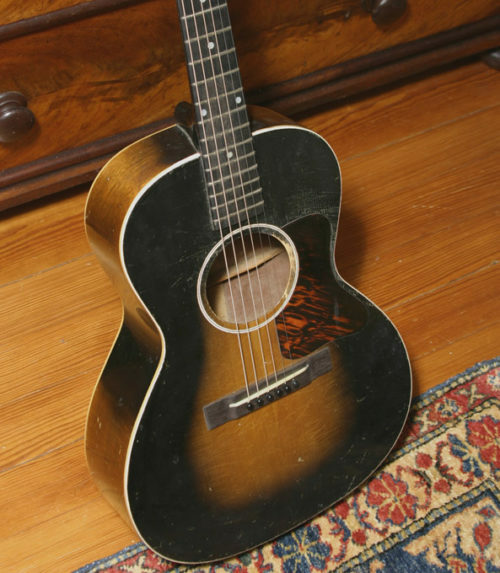 Acquired by us from the family of the original owner in Austin, Texas, this guitar is a great example of the era when Gibson still had a production jump on Martin, and even its lower cost guitars were winning the marketing war at the trailing end of the depression. This L-00 had a re-spray of its burst in the early 60’s, so while not the original finish, it’s got the right look and feel of the 30’s, and plenty of mileage to make it more than convincing. The top and sides are completely crack-free, and there are only two small cracks on the back. One is not through the wood, and the other was expertly addressed by Tony Nobles with a small cleat. 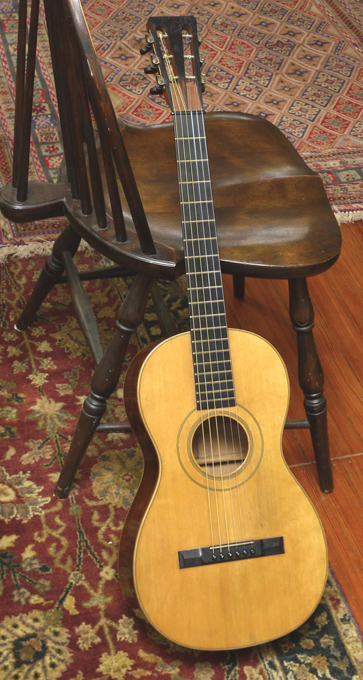 Tony also made a new perfect reproduction Brazilian Rosewood bridge. The bridge plate is original and in great condition. Original firestripe pickguard. Original nut. 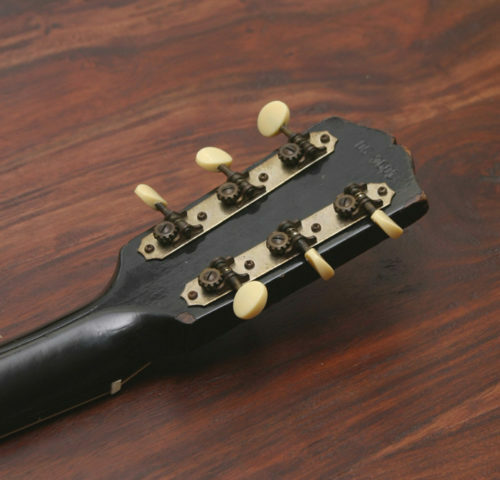 The non-original tuners on the instrument when we acquired it were replaced by us with klusons from the period. 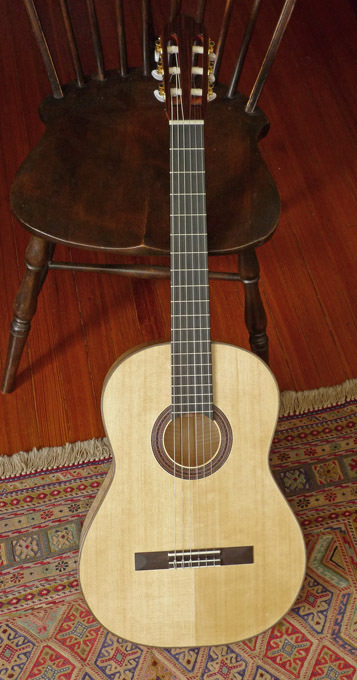 Tony also installed new T-frets. While we tend to specialize in vintage Martins, this one might change my mind.